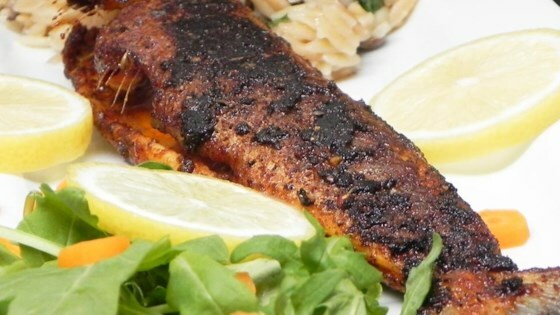 "This recipe calls for trout, but catfish or red snapper would be equally good. Be sure to have a well-ventilated kitchen!" Quick, delicious and elegant seafood dish.